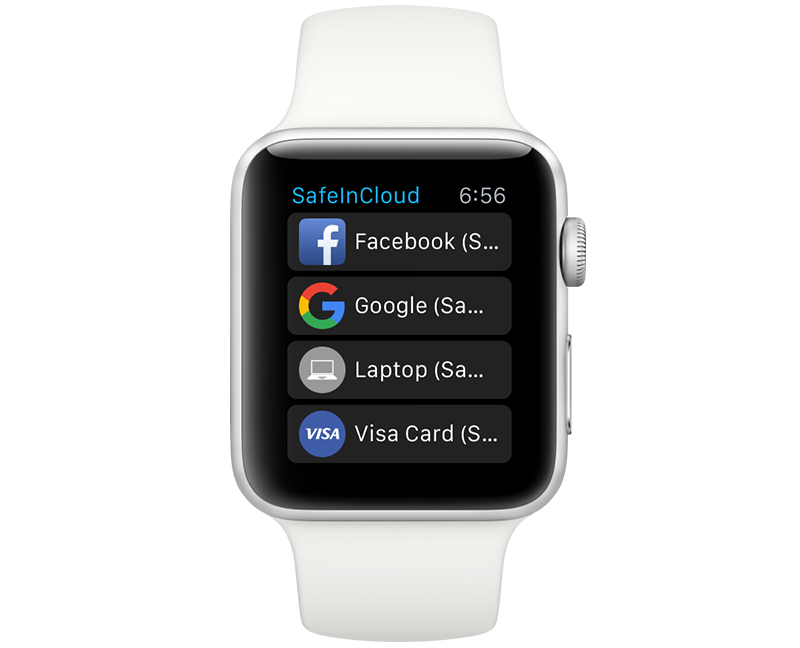 SafeInCloud Password Manager was originally developed in 2012 and is constantly adding new features and improving on an ongoing basis. 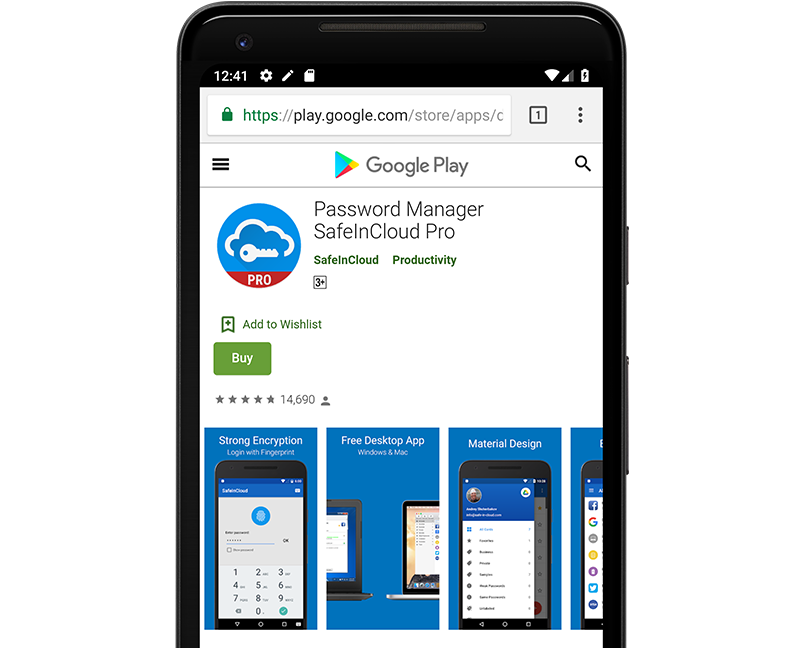 More than 500 000 people are using SafeInCloud Password Manager daily. Purchase the app license once and use it on unlimited number of your devices with the same OS. Lifetime. No monthly fees or extra charges! 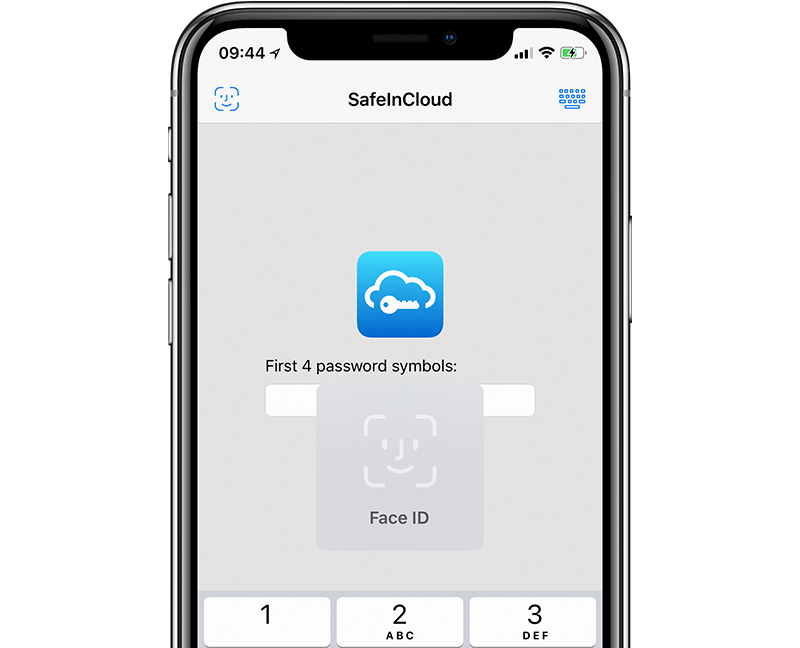 Instantly access your data with a fingerprint, Touch ID, or Face ID on a devices with biometric hardware. Access your data from Windows and Mac OS with a free Desktop app. Enter and edit your data fast and easy with mouse and keyboard. Zero-Knowledge security means that the application developer or any other person knows nothing about your data. Your data is always encrypted with strong 256-bit Advanced Encryption Standard (AES): on your devices, computers, and in a cloud. 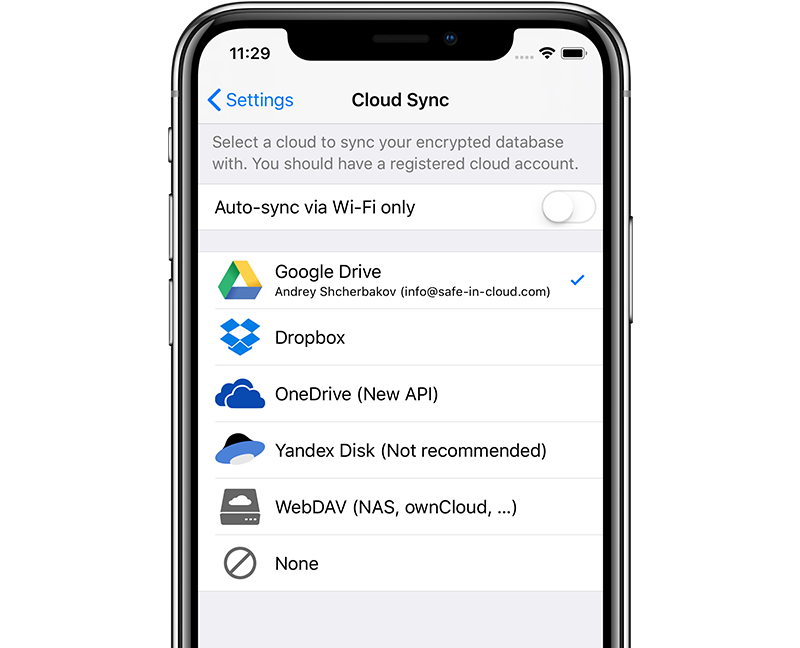 Sync your data automatically with your own cloud account on Google Drive, Dropbox, OneDrive, or even your own NAS server (via WebDAV). 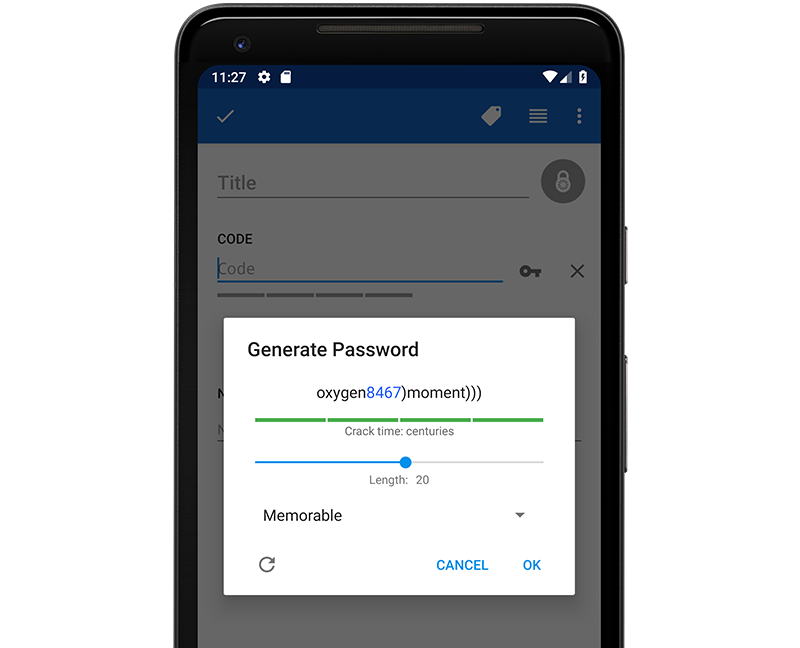 Generate random, secure, yet memorable passwords with an advanced password generator tool. 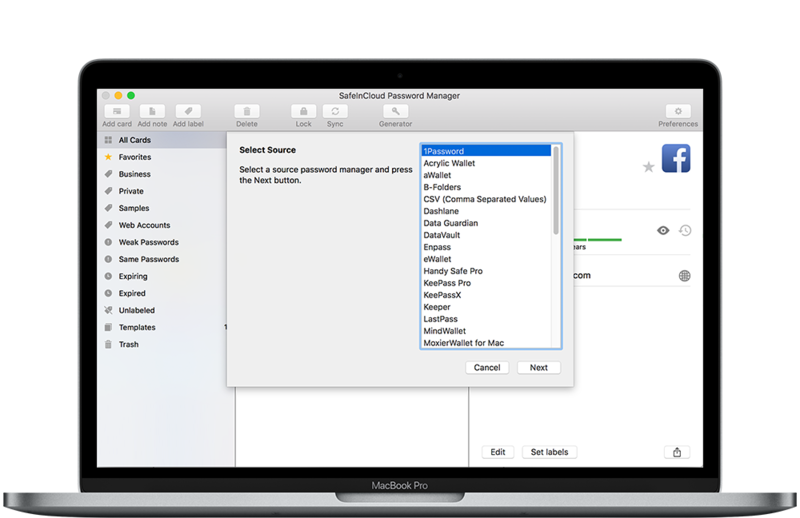 Import your passwords automatically from another password manager or browser using a free Desktop app. Autofill passwords on web pages in Chrome, Firefox, Safari, Opera, and Yandex browsers on desktop. 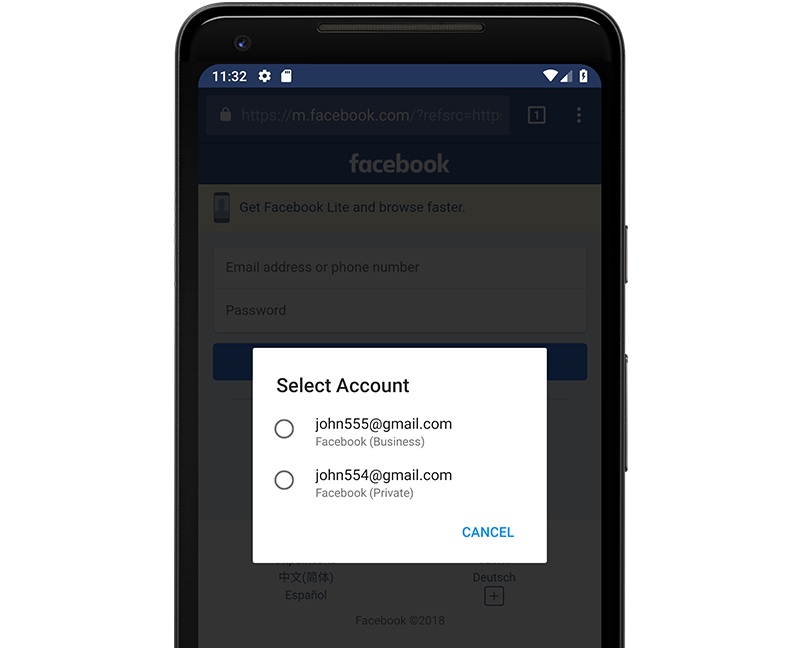 Autofill passwords in mobile apps and Chrome browser on Android. Keep the most frequently used passwords and PINs on your wrist with Apple Watch and Android Wear (Wear OS) companion app. 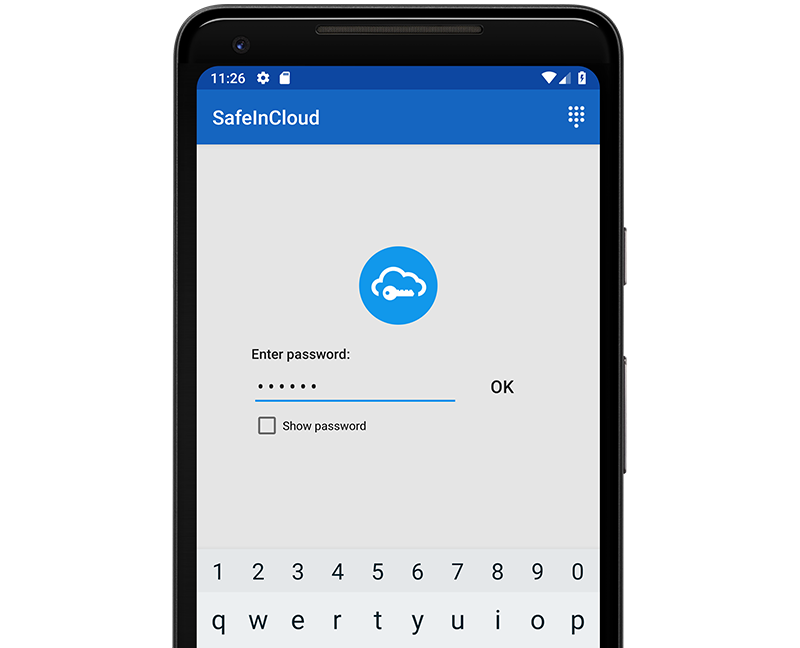 SafeInCloud Password Manager is available for Android, iOS, Mac, and Windows. 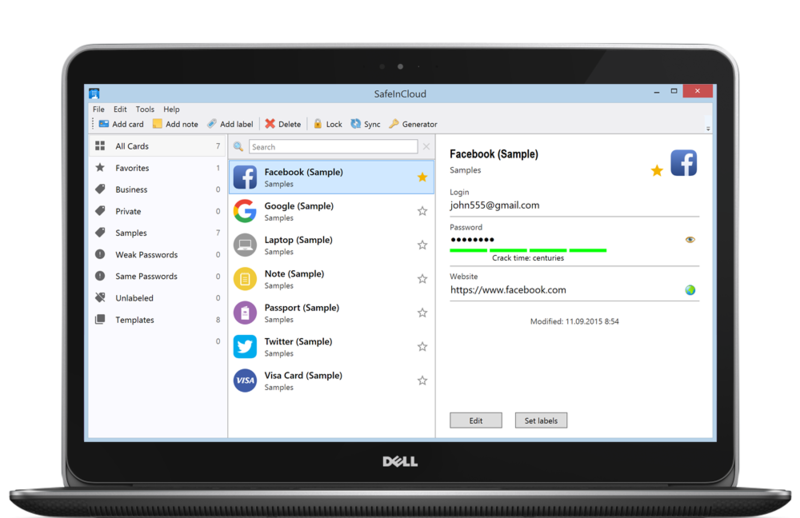 Install SafeInCloud extension for your browser on Windows or Mac to autofill passwords on the Internet. App This is the best functioning, cloud sync pw app, IMO. I have never had any problems with it synchronizing on multiple devices and computers. It really helps to be able to carry around my passwords encrypted on my phone. I also have it on my laptop, so it is easy to synchronize between my phone and laptop for extra security. I have used a bunch of password managers over the years and I like this one the best. Works well and never had a sync problem. It just works. Love the finger print login. Tried about 5 password apps till I got to this one. Perfect! No flashy gimmicks, just slick operating, feature rich and simple to use! Plenty of customisation available and now with a legend to indicate how secure your passwords are. Fantastic app and worth every penny. This is a great app, and the customer service is outstanding. The new password strength indicator is a great help. Thus app is secure, easy to use and extremely reliable. A must have! The licensed app can be installed on unlimited number of devices. Lifetime! 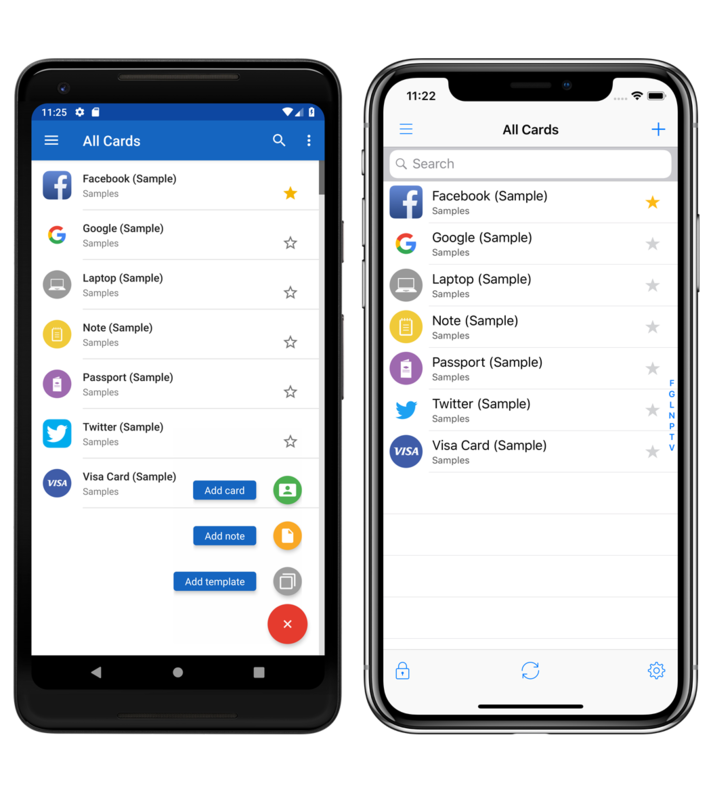 iOS and Android app licenses should be purchased separately. The payment is one-time. No subscriptions! * Prices in local currencies may slightly differ due to changes in the exchange rates. Look no more! There are answers to all frequently asked questions in the Knowledge Base. Post your own suggestions and vote for others. The most voted suggestions will get a highest priority in the future app development. If you cannot find an answer in the Knowledge Base, send you request to this address: support@safe-in-cloud.com. Support requests are usually answered within 2 business days. Copyright © 2012-2019 Andrey Shcherbakov. All rights reserved.